• Regulation: Involves genetic engineering to genetically modify organisms. With these many applications biotechnology is a very vast and huge field with various applications yet to come up. Bioinformatics is the new field in biotechnology that brings together biological studies, molecular biology and genetics with computational science, mathematics and statistics. Bioinformatics can be expanded what can be called as ‘Biological Informatics’. Today’s scientists also mention the field as computational biology. The field came up after the establishing of the Human Genome Project in 1991 where it helped in determining the whole DNA sequence of human genome. Bioinformatics uses new developed softwares, algorithms and databases to solve many biological experimentations and problems. The work in this field is called as in silico which means performing on computer via computer simulation. So this has helped in reducing time, wet lab practice and cost. Bioinformatics has also helped in storing large data in less space. Bioinformatics so has played a big role in the field of science. Considering biotechnology in the present day, the growth of the field is unparalleled with its advancements clinical healthcare, forensics, molecular modeling, pharmaceuticals, disease characterization and cure, agriculture and many more. Even bioinformatics has reached immense heights of growth in biological science and research. 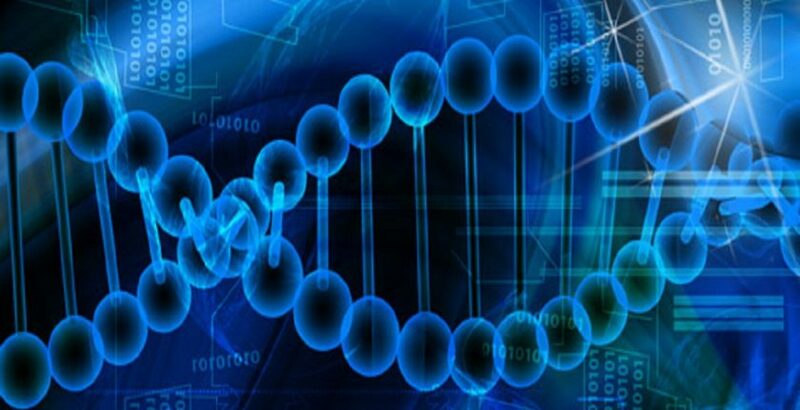 There are numerous number of applications in bioinformatics that help in boosting the field of biotechnology which includes mainly gene and protein identification, structural and functional prediction, development and designing of drugs, folding of gene and proteins and their complexity, designing vaccines, organism identification and many more. So development and advancement in biotechnology can be achieved with the help of bioinformatics. There are many cases where bioinformatics is related to biotechnology. Various tools have been developed in bioinformatics which have been used to perform tasks that were very time consuming, high cost and risky for taking further. Tools like FASTA and BLAST were developed for predicting gene and protein sequences. Other tools like Clustal Omega and T-Coffee were developed inorder to compare gene and protein sequences for their similarity. Many databases were developed to store and retrieve information easily. Genomics is a field that studies about genes, their functions, expressions and gene interrelations. Bioinformatics has played a huge role in storing, retrieving and managing the enormous data. The biggest help bioinformatics has done in this field of genomics is in Human Genome Sequencing. Human genomes could be stored and saved easily with the help of Bioinformatics techniques. This field is the study of mRNA in cells. The mRNA expression level can be identified using DNA microarray with the help of Expression Profiling. This experiment releases large amount of data with high data value using a single run with hundreds of runs required for a single experiment. Various softwares and software packages have been developed to store huge amounts these obtained data. So bioinformatics helps in determining the mRNA levels of expression. The study of the amount of proteins along with their functions, interactions and structures present in a cell, tissue or organism is known as proteomics. With the help of bioinformatics tools and softwares various protein activities, functions, protein-protein interactions and profiling could be determined. Developments of algorithms such as visual image analysing of 2D gels, peptide fingerprinting has taken place. The major area bioinformatics is playing a role is the discovery and development of drugs thereby helping in the development of pharmaceuticals. Here bioinformatics not only stores huge amounts of data but also help in predicting, analyzing and interpreting clinical discoveries. Now the risk of producing large numbers of drugs in minimal amount of time has been reduced with the development of a new field which comes under bioinformatics called Computer Aided Drug Design (CADD). Various softwares and databases have been developed specifically for drug discovery and development. The study of phylogenetics focuses on the evolutionary changes and relationships among organisms. Phylogenetic trees can be constructed using various methods by using sequence alignment and various taxonomical information can be stored in many databases. This is how bioinformatics helps in the progress of phylogenetics. Forensic science helps in identifying and relating individuals. Bioinformatics has progressed together with this field by developing molecular databases that can save DNA profiles of various individuals. Evidence collection and storing can be accurate and precise with the help of bioinformatics tools and databases. The major areas for environmental studies is pollution and climatic changes. Bioinformatics has developed methods which can reduce pollution and climatic change. Bioremediation develops microorganisms that aid in degradation and bioinformatics uses tools to analyze and mechanize types of degradation pathways. Current progress is less in the area of climate change but microbial genome sequencing is being developed inorder to reduce carbon dioxide and greenhouse gas levels. Both fields of biotechnology and bioinformatics are making rapid progress in research, development and in other areas. New biotechnological developments and advancements have taken place and the future of biotechnology remains unpredictable. Along with biotechnology bioinformatics despite being in a fundamental stage its advancements are soaring with improvement and the effieciency level is increasing. New softwares and tools are being developed and mechanized and existing tools are being updated with new features. In this present world almost every biological study and research is associated with bioinformatics. The progress in research has boosted rapidly but yet there are various methods and techniques which are in the process of precision and accuracy. In silico method of study has helped in reducing time and cost for biological research and development. Rahul Kumar Sharma. Role of Bioinormatics in Various Aspects of Biological Research: A Mini Review. Research and Reviews: Research Journal of Biology. 2015. Edgar. J. D. The Colours of Biotechnology: Science, Development and Humankind. Electronic Journal of Biotechnology. 2004; 3: 01. Joyce. A. P., Zhang. C., Bradley. P., Havranek. J. J. Structure-Based Modelling of Protein: DNA Specificity. Briefings in Functional Genomics. 2015; 14(1): 39-49. Sheehan. D. Next Generation Genome Sequencing Makes Non-Model Organisms Increasingly Accesible for Proteomics Studies: Some Implications for ecotoxicology. Journal of Proteomics and Bioinformatics. 2013; 6(21). Weier. H. U. G. Bioinformatics for High Throughput Sequencing. Journal of Data Mining in Genomics & Proteomics. 2013; 4(108). Ashraf. G. Heterologous Expression of Stress-Responsive DUF538 Domain Containing Protein and its Morpho-Biochemical Consequences. Plant Journal. 2011; 30(5): 351-8. Nidhi Uppangala. Applications of Bioinformatics in Biotechnology. Bioinformatics. Biotech Articles. 2010. SimonyanVahan, Goecks Jeremy, Mazumdar Raja. Biocompute Objects – A Step towards Evaluation and Validation of Biomedical Scientific Computations. PDA Journal of Pharmaceutical Science and Technology. 2017; 71(2): 136-146.